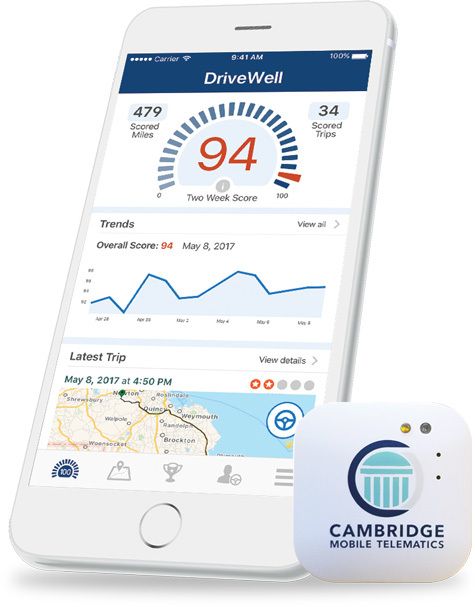 –Cambridge Mobile Telematics (CMT), the world’s leading mobile telematics and analytics provider, has secured a $500 million investment from the SoftBank Vision Fund. This investment will accelerate the adoption of CMT’s successful DriveWell platform used by insurers, fleets, wireless carriers, and other entities to measure driving risk and improve driver safety. It will also fuel CMT’s growth in automated crash and claims management, video analytics, and safety for emerging vehicle and mobility systems. The investment is subject to regulatory approval. Drawing on numerous innovations in mobile sensing, artificial intelligence (AI), and behavioral science, CMT has become the market leader in mobile telematics. Today, CMT works with customers in more than 20 countries, accurately measuring driving performance for insurance pricing, providing incentives to improve driving quality, and lowering operating costs by reducing crash rates and automating some claims processing functions. CMT’s partners include leading insurers such as State Farm, Liberty Mutual, Desjardins, Discovery, Admiral, MS&AD Group, QBE, AIG, and Insurance Australia Group, yielding a global customer base of several million users. CMT’s DriveWell Tag, invented in 2014, was the first fully wireless “Internet of Things” (IoT) device to measure vehicle dynamics for actuarial scoring and for real-time impact alerts with roadside assistance; in 2018, CMT shipped its 6 millionth Tag. Since 2016, CMT has introduced new services for crash reconstruction and loss notification with telematics data, dashcam video analytics for risk scoring, fleet features for commercial insurance, and best-in-class risk scoring models. These models enable insurers to accurately price risk using telematics data and have been approved by several regulators. CMT’s progress has been widely recognized by many independent experts. In October, CMT was named the market leader in mobile usage-based insurance by Ptolemus, a research firm focused on connected mobility and IoT. In June, DriveWell was named the Best Auto Digital Insurance Product by TU-Automotive Detroit. CMT’s insurance technology solutions have also won multiple awards from Celent, Gartner, and Digital Insurance. For more information about CMT, visit CMTelematics.com.